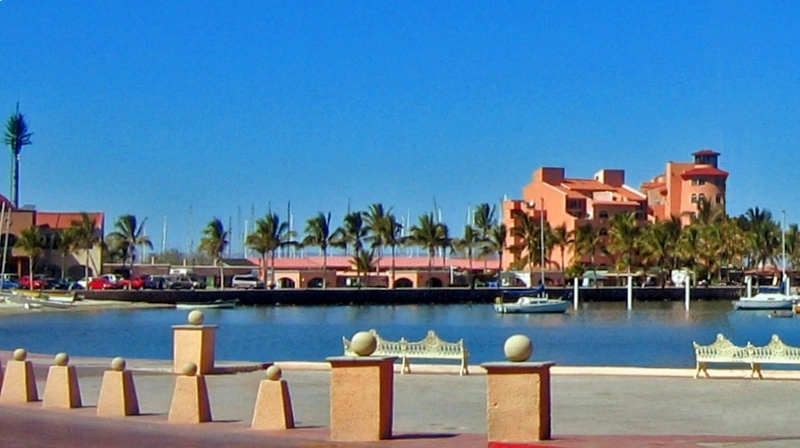 La Paz is the largest city in, and the capital of the state of Baja California Sur, and it is the fourth largest geographic MSA (metropolitan statistical area – a city and its burbs) in Mexico. With a population of 215,178 (2010 census), it also has one of the highest standards of living in Mexico. 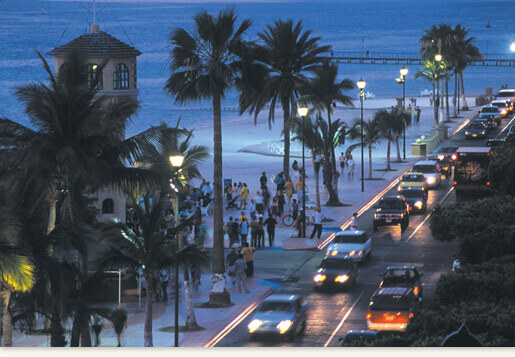 It sits on the Bay of La Paz in the Sea of Cortez and sports a malecon that is five kilometers long (3.1 miles) and includes a “bike” trail for cyclists. La Paz has an international airport with direct flights to Mexico City, Guadalajara, Monterrey and Los Angeles. Major highways run to the north and south of it, and both taxi services and buses are available for careening around the roads of the southern baja peninisula, if you don’t own a car. The Sea of Cortez and it’s surroundings are one of the ecological hot spots of the world today due to the unique flora and fauna of the area, the annual migration of whales to the area and the over 900 islands and inlets in this leeward part of the ocean (244 under the auspices of UNESCO protection). Because of the singular combination of land and water ecologies, eco-tourism has become the primary driver of the local economy. World Heritage Bio-Reserves and the Isla Espíritu Santo group of islands, which borders the southeastern portion of the Bay of La Paz, are the prime biosphere attractions for the area. But, there are other industries that also support La Paz’s higher standard of living – in fact, silver, pearls, fishing and agriculture have all been around much longer than tourism. For groceries and other goods, there is plenty to choose from in La Paz. They have nine major grocery/department stores including Chedraui, Walmart, and Mega. You can also shop at Home Depot, Soriana’s and Sears. The cost of groceries is higher than in the southern parts of Mexico, but shopping at the mercado still offers the dual benefits of lower cost and fresher food. Unfortunately, when the standard of living goes up, so does the cost of living necessities. However, housing costs are as low as they are on the Yucatan Peninsula ranging from the D+ level up to A+. La Paz also has a brand new hospital, La Salvatierra Hospital, opened in 2010 by President Filipe Calderon and declared by him to be “one of the most advanced hospitals in Mexico.” Medical costs, like in the rest of Mexico, are a fraction of what they are in the US. Figure your doctor, dentist, and prescriptions expenses will run somewhere between 15-30% of what they were in the US. Nobody in Mexico gets rich from medical malpractice suits. As an expat, you reap the benefits. If you’re looking for a better standard of living/quality of life area with beaches and ocean breezes, mountains, unique, fascinating wildlife and world-class eco-reserves, then you need to take a good look at La Paz. It may be just the place for you!